In 1983 Congress declared April as national child abuse prevention month. 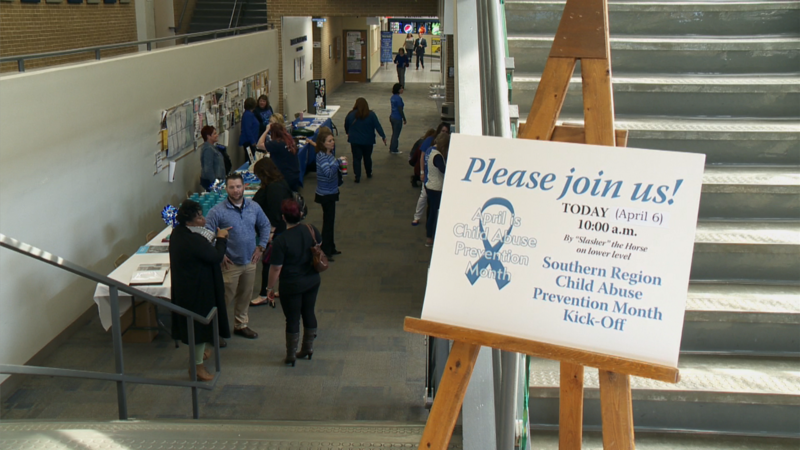 Social service agencies from across the area gathered at John A Logan College on Friday to kick off child abuse prevention month. 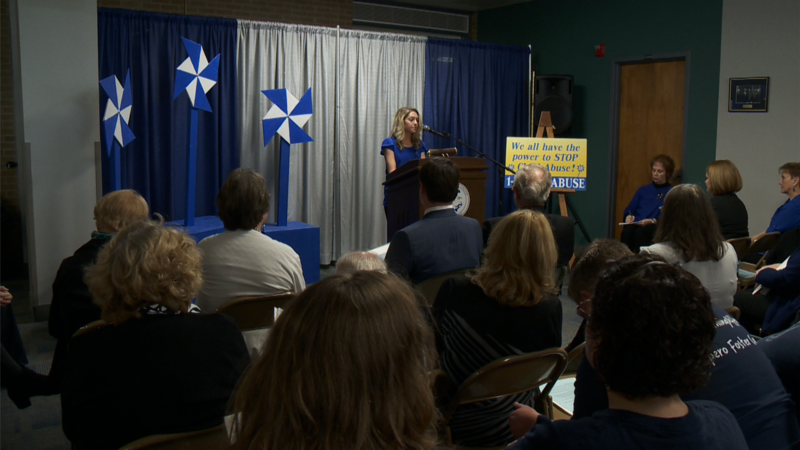 Agencies across southern Illinois gathered raise awareness on child abuse and let the public know about the services they offer and warning signs of child abuse. 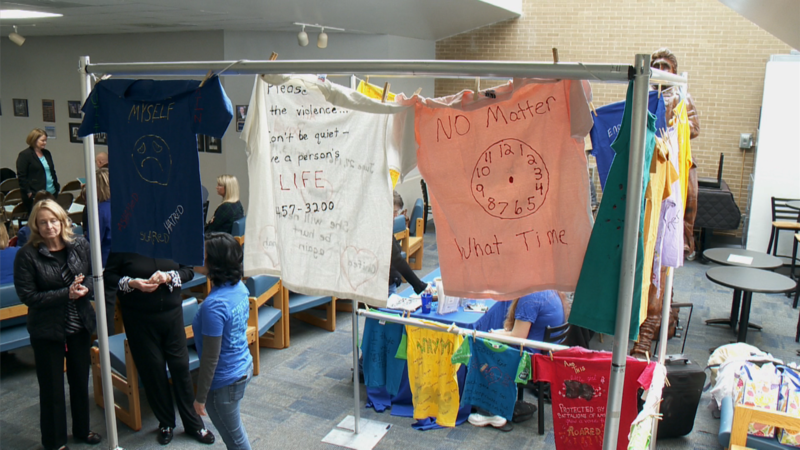 The Poshard Foundation, DCFS, Prevent Child Abuse Illinois and other community organizations sponsored the event. Jo poshard shared some statics about the area in her opening remarks. Which is more than the population of Ina in Jefferson County. Shalynn Malone runs the foster care program for Spero (SPARO) Family services in Mt Vernon. She oversees adolescents, but sometimes has difficulty with the availability of safe homes. Malone has some advice if you feel a child may be in danger. There are other ways you can help, donations of money, supplies and your time to volunteer or mentor kids. 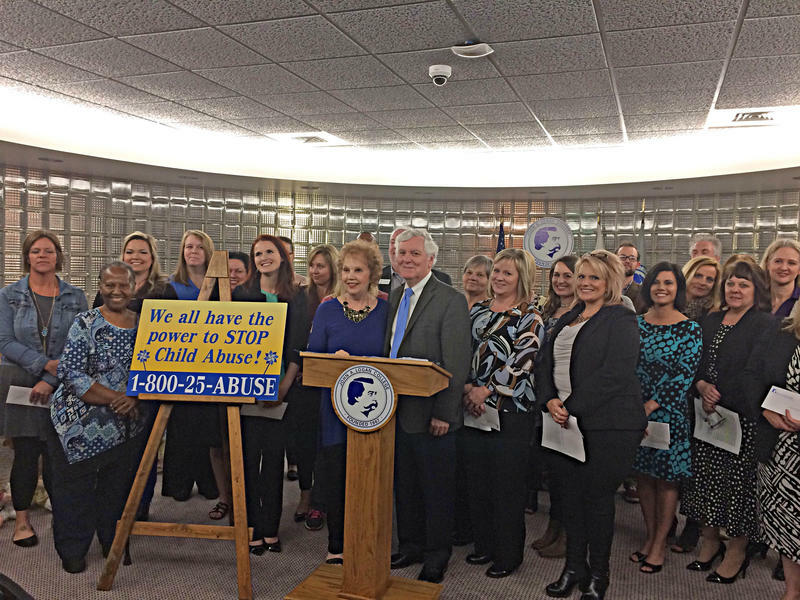 You can call 1-800-25-ABUSE to report child abuse to DCFS anonymously. A report finds that incidents of alleged abuse and neglect of residents under the care of the Illinois Department of Human Services have increased by half since 2010 and the time it takes to completely investigate them has grown. Poshard Foundations Distributes Six-Figures In Grants To Help Abused Children. The Williamson County Family Crisis Center in Herrin has been helping families get back on their feet for over 30 years. On Monday, the Poshard Foundation brought them a gift.